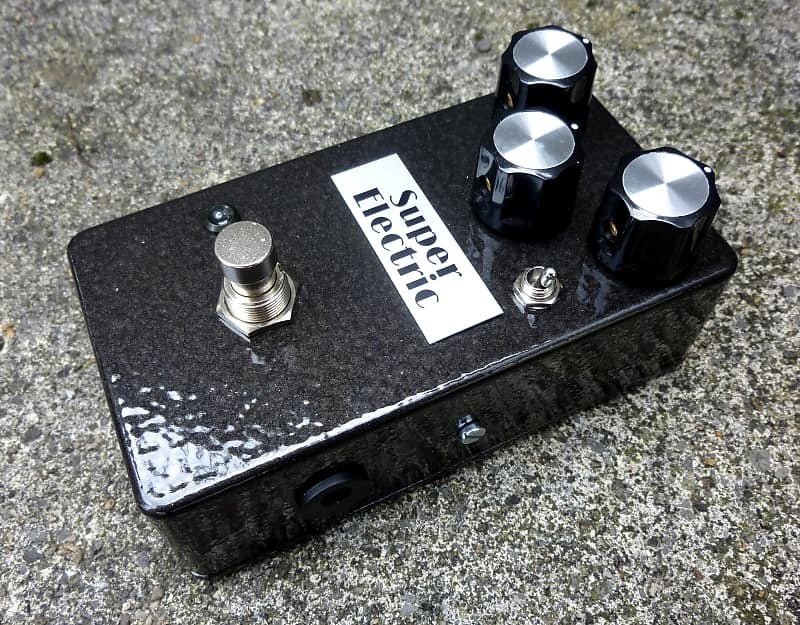 The Super Electric Stoat takes the famous Rat and add a few tweaks, including a 3-way clipping switch, LED and a 9v DC jack. 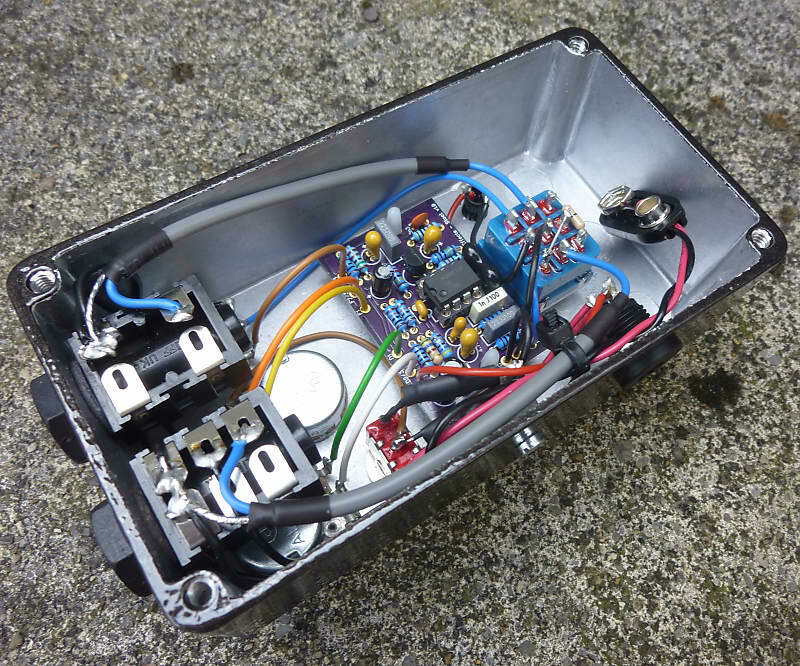 It uses the classic stock circuit found in older versions along with the LM308 op-amp. 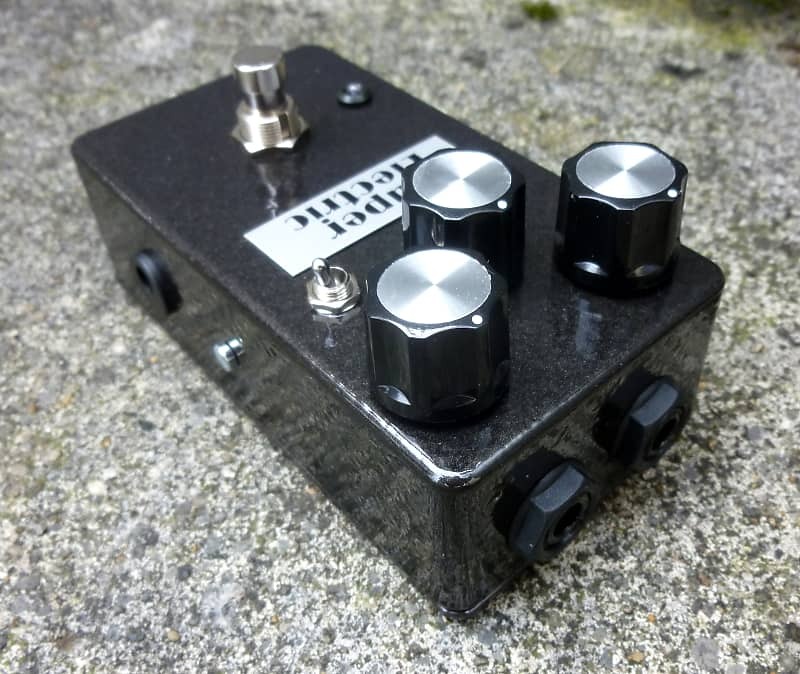 The pedal comes with an instruction sheet and a 3 year warranty. Each one is hand-signed with a serial number and packed in a white cardboard box. Shipping is through registered post/signed-for delivery with a tracking number. 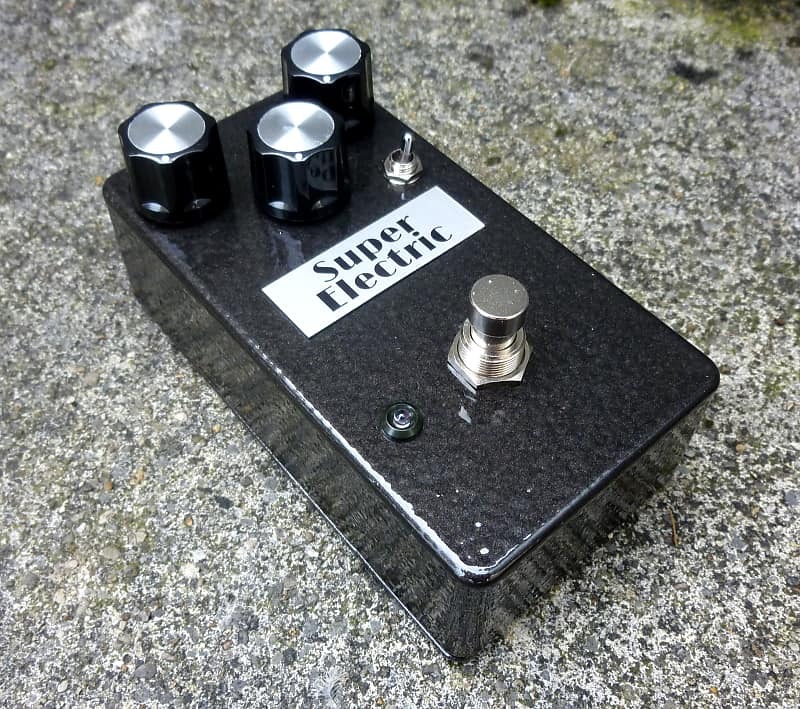 Super Electric Effects pedals are hand-built by myself, Jimmy Behan in Ireland. If returning an item from outside the EU, MAKE SURE the package is marked as 'GIFT'. I can not be expected to pay custom charges on items being returned. Any returned items sent back marked as 'merchandise' on which I have to pay custom charges, will be sent back to the buyer.